Will you join my team of prayer warriors and pray for my writing, speaking, and bible study ministry? It’s the “all hands on deck” season in Western Illinois. Harvest is here. It didn’t take long after we moved to Western Illinois for someone to tell me, “You don’t schedule a lot of activity during September and October. After all, that’s harvest time.” That came back to me just a week ago when I told a friend about a Gaither Vocal Band concert in early October. “I know your family loves the Gaithers,” I prodded. Her face brightened then dulled. “Can’t. That’s harvest.” I shook my head, not fully understanding. The concert was in the evening. Surely her husband could cut out a couple hours early just this one day. Nope. It’s harvest. If you don’t get the harvest in, you lose corn and soybeans. Crops mean money. Money means living for the next year and paying off the debts from last year. Every grain counts. Every stalk is important. It all adds up. I didn’t catch Jesus’ sense of urgency until I moved to farm country. An abundant harvest is a mixed blessing. Yes, it’s wonderful to get a bumper crop. But if you don’t have the workers, it doesn’t matter. A harvest isn’t a good harvest until it’s a done harvest. You’ve got to work hard and fast before freeze, autumn storms, or critters get it. In the past two weeks, two long-time friends who serve on the foreign mission field have had to stare cancer in the face. 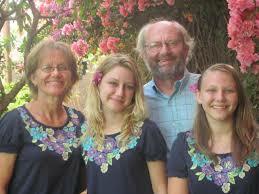 Barb and her husband, Evert, serve on a support team to Bible translators in Western Africa. After several months of quiet struggle, Evert was diagnosed with brain cancer at the end of their furlough in the U.S. Everything has changed. While they seek treatment in the U.S., they aren’t going back for the foreseeable future. The family is even arranging to have their dog brought over The Big Pond. Another email told that a college friend who ministers to casino workers in Eastern Asia was diagnosed with breast cancer. Same song, second verse. Marilyn was finishing last minute health appointments before heading back to her position when a mammogram revealed cancer on both sides. She is now seeking treatment options. Why? It’s the often heard response to a cancer diagnosis. Usually one to be accepting of the twists and turns of life as part of God’s roadmap, I find myself asking the WHY question this time. Why is God allowing these workers to be plucked from His harvest fields? Is this the enemies work? Three things come to mind. God isn’t removing these workers from the mission field. God is relocating them to other mission fields. God doesn’t remove workers; He relocates them. Then this. God has used these wonderful, faith filled people to talk about His love and power. Now they get to live it in a way they’ve never lived it before. They get to demonstrate what dependence on God looks like. From what I read in their emails, they are allowing their lives to become living, moving, breathing object lessons of God’s protection and provision. As I wrote to one of them, I can hardly wait to read this God-story as the Lord blazes a streak of His glory through hospitals and doctors’ offices here in the U.S., a blaze of glory so bright, those back in their chosen will see and bless the Lord. Finally, Jesus’ words haunt me. The harvest awaits. People still need and want to know about our Savior. Jesus told us to pray for workers. So, I’m asking you to pray for Barb, Evert, and Marilyn, that God use these workers in the harvest fields to which He is directing them. I’m also asking you to pray and pray hard for workers to replace them in their respective countries. 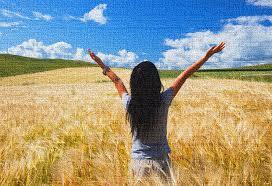 In fact, pray that for each of them, God raise up three more workers for His harvest field. Maybe those workers will be American missionaries. Maybe they will be local, indigenous people. Pray that God put a fire in the belly of believers who determine to stand in the gap these dear friends have left so the work of proclaiming the gospel in these two countries will not lapse. After all, every life is precious. Every soul is important. I know many of you pray for my writing and Bible study ministry. I humbly appreciate that. I want God to be at the center of all I do and I know I cannot do it myself. Like a salmon swimming upstream, I feel like the currents I’m swimming against recently have been stronger but they are making me stronger too, and by God’s help, I’m prevailing. While I’m still limited in what I can do after my eye surgery, I have the mixed blessing of having a cleared calendar over the summer. I still need to stay inside much of the time because my eyes are still dilated. That means I have more time to devote to writing which is good because I have three major projects I’d like to work on this summer. Will you pencil my name in your prayer journal to pray for me over the summer for these three writing projects? 1. 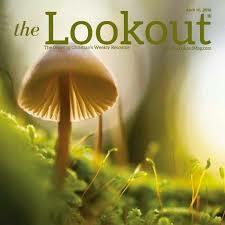 The Lookout, the magazine I have frequently written for over the last twenty years, releases its theme list for the 2017 year next week. As soon as that theme list arrives in their inbox, writers jump into action to compose query letters about articles they would like to write for the weekly themes, vying for one of three or four article spots per issue. Pray that God guide my thinking as I choose and prepare queries to send in the next month. 2. I’m so excited! I’m working on a Bible study on the Psalms for our women’s Bible study groups next fall. I hope this will turn into a bible study book that will fit into the “Becoming God’s Person” bible study series I’ve proposed to several publishing houses. Again—guidance from the Lord. I want to represent His Word accurately. I want to guide my participants into applying the Word for themselves. May the Holy Spirit direct my thoughts! 3. While I lay face-down in recovery from eye surgery for a week, new ideas for the current novel I’m writing and for another novel I’ve dreamed of writing flooded my brain. I want to plunge back into the fiction writing. Pray for stamina, time management, and as always, that I represent the Lord well in what I write. “Trust in the Lord with all your heart and do not rely on your own understanding.” Yes, Proverbs 3:5, that’s what I’m TRYING to do! 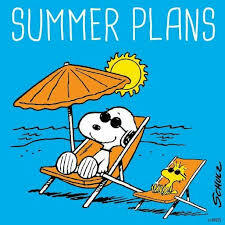 How can we pray for your summer plans? 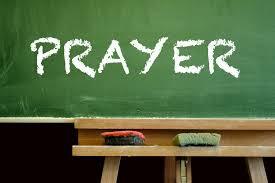 Praying for your Public School does make a difference! Some time back, I shared with you the need to pray for our public schools. I told about the junior high teacher who struggles with discipline issues trumping her classroom teaching. She told us in particular how two students were at the core of the unrest in her classroom. Our church prayer group devoted ourselves to praying for this teacher. We targeted the two students who were causing the most disruption. We prayed that God would grant this teacher peace and wisdom, that the Lord would use her to be an influence in the lives of her students. I would be wrong if I didn’t give you an update. At our last prayer meeting, our junior high teacher reported that her school year has completely changed. One student who used to turn his back in defiance to her now whispers to classmates that her class is his favorite. The atmosphere is completely different. Amen, sister! Because God cares about kids even more than we do. God heard our prayers and is moving among our junior high students. Partnering with God through prayer can change things! God cares about kids even more than we do. Are you facing an impossible situation? Do you feel like you have a beaver dam made of piles of mud, sticks, and rocks stretching across your life, causing stagnant water to back up and regurgitate into your daily life, threatening to overwhelm and pull you under its murky waters? Have you prayed about it? Have you asked others to pray about it? We rejoiced with our teacher. We went a step further. I told God bluntly, I want more. I want more than just convenience and peace for this particular teacher. I want more than a compliant student. I want to see this student accept Christ as his Savior. I want to see a revival at that junior high, scores of kids embracing faith and commitment to Jesus Christ. I want teachers full of courage and wisdom, hauling kids out of the muck of dysfunctional family life and showing them that there is hope and healing. Big prayer? You bet it is. Without God, our public school system is hopelessly caught in the quagmire of bureaucracy and secularism. There is no cure, except through the power of Christ’s redeeming love. Don’t let up on your prayers for your local school. God can and will move through its halls, and do great and mighty things. With God, anything can happen. God cares infinitely about His children and He wants to hear us say that we care too.